Why do I have bad breath even after maintaining proper oral hygiene? iCliniq › Ask a doctor online › Answers › Dentistry › Bad Breath › Why do I have bad breath even after maintaining proper oral hygiene? Q. Why do I have bad breath even after maintaining proper oral hygiene? I notice I have bad breath no matter how well I maintain proper teeth hygiene. What can help me in this regard? 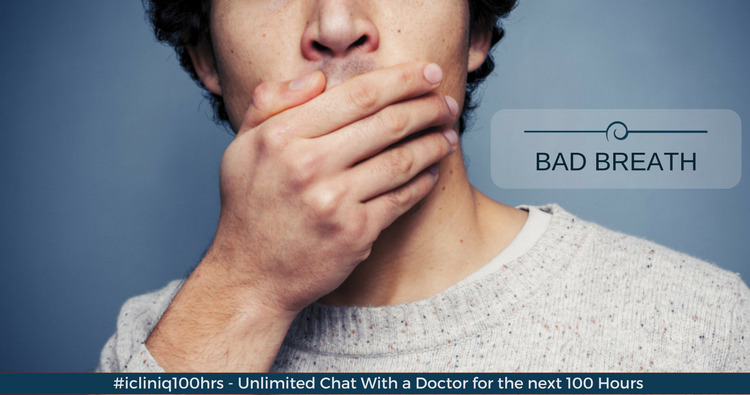 Bad breath, also known as halitosis, can occur due to a number of causes like poor oral hygiene, oral and dental infections, postnasal drip, sinusitis, acid reflux, respiratory infections, diabetes, etc. You should consult an oral physician or an otolaryngologist and get evaluated as a thorough clinical evaluation depending upon suspected causes can help in your treatment. Treatment of the underlying cause will relieve the symptoms. As of now, you should start gargling with a flavored mouthwash twice a day. You should chew a flavored sugar-free chewing gum. Do warm saline gargles twice a day. You also need to limit the intake of high aroma foods like onion and garlic. Drink plenty of water and maintain a good oral hygiene.